The current Robert Crown Center, 1701 Main Street. Residents express concern about the price of renovating the building. When Evanston first decided to replace the 45-year-old Robert Crown Community Center, many residents agreed to use $30 million to fund the project. Since this initial estimate in 2015, the cost has jumped to $53.2 million to accommodate amenities like a library and a turf field. At a community meeting this month, over 20 Evanston residents lined up to speak against the project. Many of those same people also attended Monday’s City Council meeting and Mayor Steve Hagerty’s town hall meeting last Wednesday. Over a year ago in February 2018, City Council unanimously approved the Robert Crown Community Center project at $48.5 million. The recreation center would offer a library branch, a turf field and other smaller amenities. Community members and city officials broke ground on the project in July. Evanston resident Mary Rosinski said in an interview that the city failed to formally announce the price change. Rosinski said she and other Evanston residents still do not know why or how the cost of the project increased. Why did the cost estimates go up? City officials have discussed restoring Robert Crown since 2000, when the Parks, Recreation and Community Services department requested renovations. The center was built in 1974, and over the past 45 years, pieces of equipment started to fail due to the building’s age, said Andy Tinucci, an architect working on the new Robert Crown Center. City staff estimated the restoration project to cost $18 to $30 million in February 2015, according to city documents. 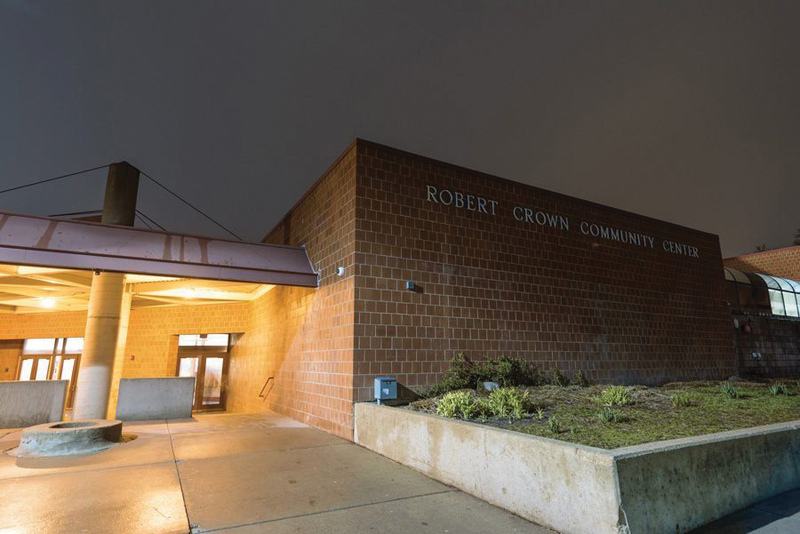 Major renovations to the existing building would cost $18 million, but replacing the entire structure without any expansions would be about $30 million, said Pete Giangreco, the secretary for the Friends of the Robert Crown Community Center. Inflation raised the cost estimate from $30 to $36 million, Giangreco said. Construction costs go up by four to five percent annually, explaining the $6 million hike over five years. Residents also advocated for additions to the project, including a library branch and turf field, among other additions, which also raised the cost of the project, Giangreco said. Giangreco added that most of Evanston’s current library branches are located in the affluent parts of Evanston, while the new Robert Crown Center would be located closer to low-income residents. The expansions could lead to 50 percent more programming at the center, according to city documents, but the additions cost an estimated $12.5 million. The contract City Council approved in February 2018 included these expansions and the price increase to $48.5 million. However, since the contract was approved, the cost estimate increased by $4.5 million. This was due in part to a $500,000 increase in steel prices, a $1.5 million construction contingency and an ordinance requiring $400,000 worth of public art at the building, Giangreco said. In addition, Tinucci said developers discovered the poor soil at the site, requiring a foundation system which will further increase the cost of the project. He emphasized that lead contamination is not the issue, despite resident misconceptions. The project now totals more than $53 million. Friends of Robert Crown, a non-profit citizen group, committed to fundraising $10 million for the project. Giangreco said the group raised the $10 million by October 2017 to relieve the city’s debt payments and agreed to raise an additional $5 million to offset new costs, he said. “Nothing has changed for taxpayers,” Giangreco said. To date, the group has raised about $12.1 million. Giangreco said $5.4 million of that money is secure in the bank and the remaining $6.7 million has been pledged through letters of intent. Giangreco emphasized that he is confident donors will honor their pledges and said money from pledges is coming in faster than expected. To meet the $15 million goal, Giangreco said Friends of Robert Crown is committed to raising the $2.9 million left through ongoing fundraising. On the Friends of Robert Crown website, the group refers to the City of Evanston as a “partner.” But no memorandum of understanding — an official documentation of the partnership — is in place, Evanston resident Clare Kelly said. Kelly said any city partnership needs a signed contract, especially concerning such a large sum of taxpayer money. She said she has made a Freedom of Information Act request for a memorandum, but her request was denied. Kelly once supported the project when the price tag was at $30 million, but she believes the city cannot afford the raised cost. The City Council passed a contract with construction manager Bulley & Andrews at the meeting in February. In July, the city approved Bulley & Andrews for general construction management before breaking ground. However, Kelly said Bulley & Andrews was not the highest bidder. In another FOIA request, Kelly said she obtained a document listing all the request for proposal costs. The document said Bulley & Andrews was the sixth-highest bidder. The lowest bidder, Walsh Construction, made an offer nearly $10 million cheaper. Ald. Donald Wilson (4th), whose ward includes the Robert Crown Community Center, said the city selected Bulley & Andrews because the group was “the best bidder for the particular project and for the nature of the work.” Wilson said city staff, who are trained professionals in the relevant field, recommended hiring the developers. Wilson said the city has been fiscally responsible, and he would not have approved the then-$48.5 million project if Friends of Robert Crown had not raised the $10 million. Due to the tight budget, the city rejected a few expansion proposals — including a playground, a performance space and an additional restroom building — Tinucci said. He said the budget was a central component throughout the design process. Evanston resident Mike Vasilko said he’s worried about the burden the more than $53 million cost will put on taxpayers. Northwestern University and Beacon Academy, both private entities, have agreed to donate $1 million and $500,000 respectively. Both institutions plan to use the ice rinks at the center, but Vasilko said he would like to see them contribute more money in exchange for ice time. He recommended the city halt construction until Beacon and Northwestern increased their financial contributions. Is the opposition too late? Wilson said the opposition group is coming in late. At the February 2018 meeting, 18-year-old Zoe Lydon was the only resident to comment about construction for a new Robert Crown Community Engagement Center. Then a senior in high school, Lydon played for the Evanston Township High School girls’ ice hockey team, and she said expanding Robert Crown could offer girls at ETHS a chance to participate more in sports. “Our team is only a few years old and we need all the help we can get to continue building it up,” Lyons said at the meeting. Wilson emphasized that local news outlets reported on the price changes throughout the planning process. Since January 2016, the city has held 31 public meetings, and seven of these meetings were designated for residents comments and concerns.